Weleda is a brand that I haven't tried many products from, but the ones I have tried I've loved. And this duo is no exception. Both products have the gorgeous wild rose scent but are available in various other scents if this one in particular isn't for you. 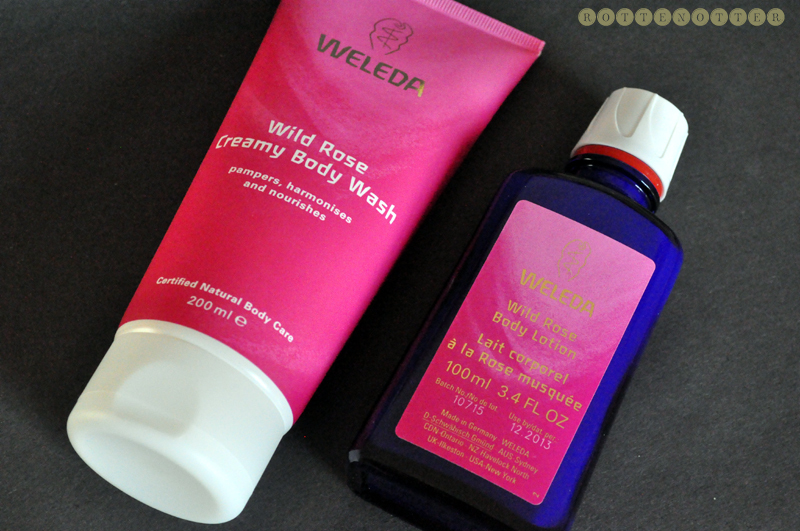 Wild Rose Creamy Body Wash* - I love the packaging, especially the pink colour, something that isn't really important but just looks nice. The body wash itself is really luxurious and it's really down to the name. It's incredibly creamy and wont dry your skin out at all. It doesn't lather too well, instead it almost creates a milky lotion which I actually prefer. The scent lingers on the skin which I don't find with a lot of shower gels. Overall it feels a lot more expensive than it is. Wild Rose Body Lotion* - This body lotion is a dream to apply once out of the bath as it has the exact same pure rose scent. As the name suggests it's quite thin so is perfect for during the summer. Those with dry skin it probably wont be enough during the winter months so I'd pair it with a balm like Skin Food. It sinks in really quickly as you'd expect and once again the scent lingers on the skin for hours after. It comes in a glass bottle which I wasn't expecting for a lotion, you can buy a pump for £1.50 though so it's easy to get the product out. Both products can be bought on their own, £8.50 for the body wash and £11.95 for the lotion, or in the Limited Edition duo set for £18.95. 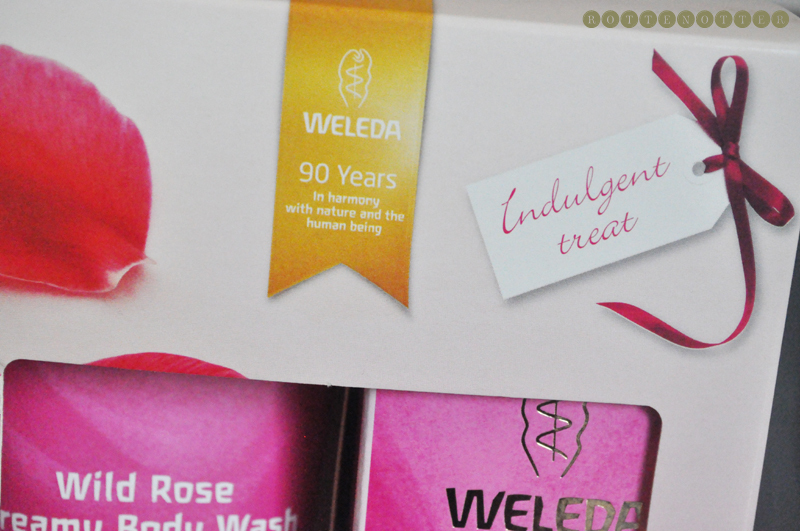 Weleda products can be bought from various places including their own website and various stores around the UK. As well as Boots and Feelunique.